Home Basic Accounting What is Posting? The procedure of transferring an entry from a journal to a ledger account is known as posting. It involves transferring of debits and credits from journal book to the ledger accounts, if an account in a journal entry has been debited it will be posted in the ledger account by entering the same amount on the debit side/column of the respective ledger account. 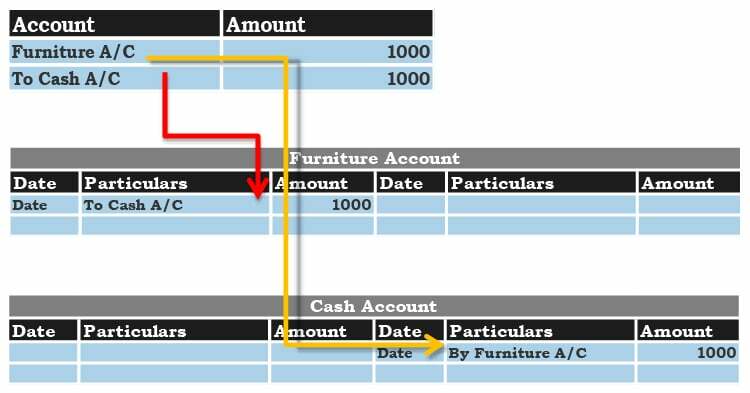 Similarly, if an account in a journal entry has been credited it will be posted to the ledger account by entering the same amount on the credit side/column of the respective ledger account. In the world of ERPs posting has been automated and reduced to just a click of a button. Posting is an important part of accounting since it helps to keep an updated record of all ledger balances & at the same time it can help a user to track how the ledger balances have changed over a period of time.